What Is An Inherit Property? 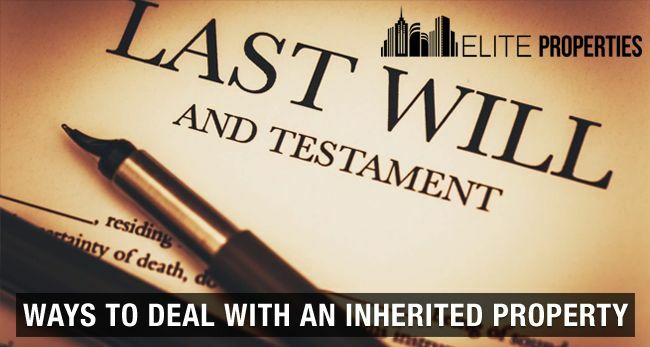 Inherit means to receive, and an inherit property means receiving property from a deceased person or someone who willingly handovers the property to their successors through legal means. Inheriting something does not stop on homes, it may include other possessions too. Receiving property from a deceased person whom you loved once, can leave you emotionally muddled. It can drown you mentally and leave you blank as many thoughts flow through your mind at a single time. In such cases, it is necessary to figure out the options and choose one wisely as it is a huge responsibility and could also cost you a lot of time and money. Inheriting a property comes with responsibilities before you contemplate moving in it. The very first challenge of inheriting a home is, you need to check with the outstanding mortgage debts that need to be paid off. Another added point is the condition of the home - if you receive a property that is shabby and requires improvements, then it is misery in the name of blessing. Lastly, comes the probate process, primarily this is an initial and a crucial step in this scenario. The heir should make sure that he or she is the lawful successor of the descended. Many homeowners in the United States does not have a will because of which the property of the deceased has to go through probate valuation, for the legal transfer to the beneficiary. This step is usually skipped when the creditor (descended) has the name of the executor (heir) cited in the will. More challenges come, when there are multiple siblings as beneficiaries, you are left with no option but, selling the property and dividing the amount received by the number of siblings equally. This process will ultimately increase the duration of selling the inherited home including the probate process. Now, when you have the issues sorted, you might want to have a look at the utility of the property. You need to obtain a decision whether you want to keep the house and shift in it, rent it to tenants or lodge a part of it. The toughest and not so opted choice for people is keeping the property as nobody would like to live in a place that will remind you of past occurrences. Also, renovating an inherited home according to your requirements could cost thousands of dollars. Renting is a great source to earn passively unless you have joint beneficiaries but, it has shortcomings too. As a homeowner, you will have to get done with the improvements of the property, to make it rent ready. This again will cost a lot as being a homeowner comes with liabilities. Selling an inherited property would leave you with great returns and fewer worries. When you sell the inherited property you cut down maintenance cost and upkeeps, you can also choose a reliable real estate company who pays you the closing costs of the property and exempt you from the crisis. Make sure all the paperwork and probate process is carried out if the creditor does not have a will on your or the beneficiaries name, usually the process takes six months to two years for completion (it relies on the size of the estate and the number of beneficiaries). 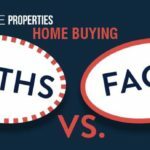 Clearing dues before selling the inherited property in the market will bequeath you with fewer concerns. As you are the legal owner of the property, you would have to list down the unpaid debts. Make sure you note down the due real estate taxes, ongoing maintenance fees, insurance and HOA fee (community fees) and calculate the expenses carefully for further transactions. The only levied tax that the heir has to pay is the ‘inheritance tax’, the tax rate is decided on the value of the property and who inherits how much. Spouses do not need to pay them (if they are the heirs), else, the tax rate is 4.5% to 18% which differs from state to state. It is necessary to carry out an inspection, as problems like - plumbing, insulation, fencing, compound/foundation walls, damaged doors or broken windows, could affect your sale. Such minor problems are examined by a professional home inspector, who evaluates everything meticulously. Cost evaluation of an inherited property has many factors that play a massive role. Attributes like age, condition, neighborhood, location, and area solely decide the worth of property. Also, if you have to go through a probate process you would have to provide the fair market value of the estate on the day of the deceased death. 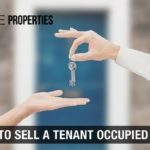 Selling an inherited property in NY is not an easy job, and when you are trying to list it in the market, you might need professional assistance which also stands a must. 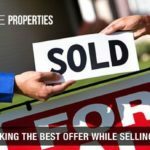 After the property has completed its inspection, the second step is hiring a trustworthy real estate agent who will guide you through the whole selling process. Here, you need to authenticate that the agent you have hired is local, authorized and has good knowledge. Always, hire an experienced real estate agent who is skilled in all over real estate stream and also specializes in selling inherited homes. Listing an inherited property in the market create a lot of fuss and is more complicated. Hence, selling an inherited house for cash is the best option to avail, as you get cash in return without hassles. If you have multiple siblings or beneficiaries, the distribution stands to be a fair play. Some Real Estate companies in NYC, like 'Elite Properties' buy houses for cash in any condition of any age, which eventually cuts down your time and money. One more advantage for We Buy Houses for Cash Company is they buy inherited property as-is and renovate it for further sale to provide you with maximum returns. And, the last step is finding a reliable real estate company. Inquiring for a reputable real estate company is a tremendous problem as you don't know whom to trust in this niche. 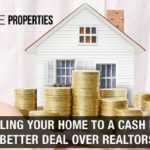 If you are facing any financial crisis and are not able to afford the repairs of the property, you can sell your home for cash as is, cutting the expenses in a stress-free way. 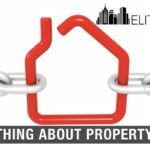 For the ones who are trying to sell the inherited property in New York City, can get in touch with 'Elite Properties', they have solutions for all your real estate issues and will guide you in your stressful circumstances. Hope the summits above will help you in the easy sledding of selling your inherited home.